Celebrate 100 years of Woody Guthrie’s music with Tony Glover, Charlie Maguire and Pop Wagner at 6 p.m. Thursday, Oct. 18 at Calvary Lutheran Church. Calvary Lutheran Church is located at 112 Park Ave. So. (US Highway 71), just south of the intersection of State Highways 71 and 34. 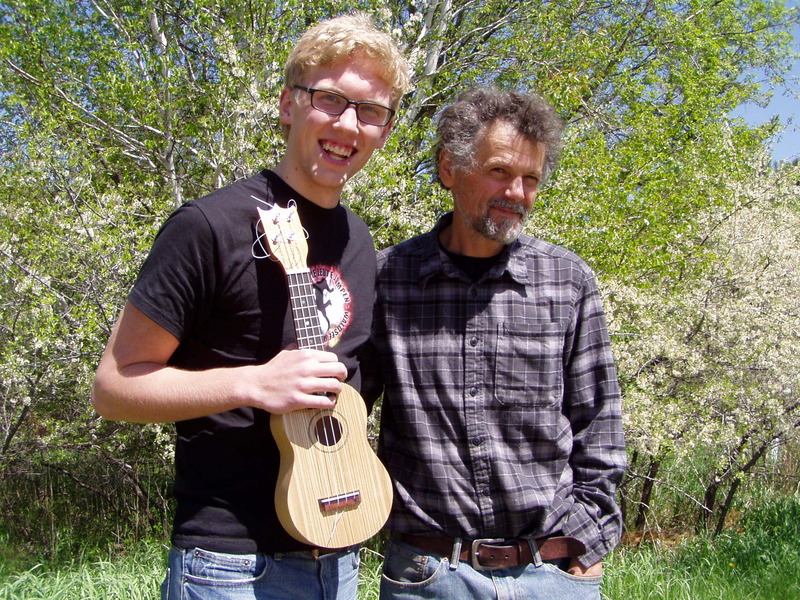 The Park Rapids Area Library and Park Rapids Lakes Area Arts Council are collaborating to host this free program, a celebration of the music and the icon Woody Guthrie represented. Over the decades, Woody Guthrie’s songs have run around the world like a fast train on a well-oiled track. They’ve become the folk song standards of the nation, known and performed in many languages throughout the world, spreading messages of the power of the people. Pretty Boy Floyd, Pastures of Plenty, Hard Travelin’, Deportees, Roll On Columbia, Vigilante Man and This Land Is Your Land are among the hundreds of his songs that have become staples in the canon of American music. Woody Guthrie was born July 14, 1912 in Okemah, OK and died Oct. 3, 1967 in Queens, NY. During his lifetime, Woody Guthrie wrote nearly 3,000 song lyrics, published two novels, created artworks, and authored numerous published and unpublished manuscripts, poems, prose and plays. Having lived through some of the most significant historic movements and events of the 20th Century – the Great Depression, the Great Dust Storm, World War II, the social and political upheavals resulting from Unionism, the Communist Party and the Cold War – Woody Guthrie absorbed it all to become a prolific writer whose songs, ballads, prose and poetry captured the plight of everyman. Maguire, Glover and Wagner will present a taste of Woody’s music and story through original pieces as well as through Woody’s own music. This Legacy program is funded in part or in whole with money from the vote of the people of Minnesota on Nov. 4, 2008 which dedicated funding to preserve Minnesota’s art and cultural heritage. The Bemidji Chorale will present its 33rd Annual Spring Mother’s Day Concert and Ice Cream Social at the Beaux Arts Ballroom on the campus of Bemidji State University in Bemidji on Sunday, May 13, 2012 at 7:00 PM. This concert will have some surprises as well as a wide variety of literature. The theme of the program is: Reflection, Possibility, Whimsey, which opens the door to some unique musical styles. Some featured soloists include Jim Dougherty, Josh Gunderson, Eric Benson, Carla Norris Raynbird, Sharon Shuster, Sutton Stewart, Maddy Lawrence, and our remarkable accompanist, Wayne Hoff. The concert is conducted by Patricia Mason. Freewill offering. Ice Cream Social following. Everyone is urged to attend. This activity is funded in whole or in part by a Region 2 Arts Council Grant through an appropriation by the Minnesota State Legislature, and the Arts and Cultural Heritage Fund passed by Minnesota voters on November 4, 2008. Please come and celebrate with us! Schoolcraft Learning Community will present its 12th Annual Spring Concert, showcasing the choirs, orchestras, and French program. 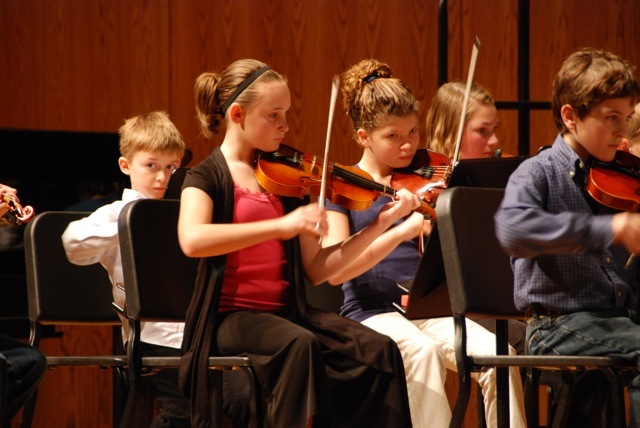 The event will start at 6:30 PM on Thursday, May 3, 2012, at the Bemidji High School Performance Arts Center. This event is free of charge, and supported in part by a grant from the Region 2 Arts Council through funding from the Minnesota State Legislature. The Bemidji Symphony Orchestra, under the direction of Dr. Beverly Everett, will close its 2011-12 concert series with an exciting program entitled “American History,” on Sunday, April 29, 2012 at 3:00 pm at the Bemidji High School Auditorium. Clay Jenkinson returns to Bemidji to narrate the Minnesota premier of Chris Brubeck’s new composition Roosevelt in Cowboy Land, a symphonic work that tells the story of Theodore Roosevelt’s time in the badlands of North Dakota. The program also features music representative of the Roosevelt White House, including Joplin’s Maple Leaf Rag, Saint-Saëns’ The Swan, David Popper’s Vito, and Virgil Thompson’s The Plow that Broke the Plains. Tickets are available at the door or in advance at Lueken’s North, Brigid’s Cross, and online at brownpapertickets.com. Prices are $20 adults; $15 senior citizens 62+; $10 college students with ID. Students grades K–12 are admitted free. Doors open for seating at 2:30 PM. More information is at www.bemidjisymphony.org. Arts Downtown Park Rapids TONIGHT 5-7 p.m.
It’s April 19th, the third Thursday of the month, and the arts are alive in Park Rapids, Minnesota. Head over to Beagle Books to listen to LouAnn Muhm’s students from Nevis High School read their original poetry. The Bella Caffe is featuring Rebby Lee and Good Life Cafe hosts the Northern Bass Family Band. What a night! In honor of National Poetry Month, LouAnn Muhm, poet and English instructor at Nevis High School, will bring students to read their original poetry from 5:30 to 6 and 6:30 to 7 p.m. at Beagle Books. Northern Bass Family Band will play from 5:30 to 6 and 6:30 to 7 p.m. at The Good Life Cafe. Band members are Brian Bass on drums and vocals, Louise Bass on keyboard, bass and vocals, and Dan Bass on guitar and vocals. They have been playing together since 2006 and perform a variety of music including early rock ’n roll, surf instrumentals and standards. They were featured on a Lakeland News “In Focus” segment and enjoy playing at assorted venues and fundraising events. The Bass Family likes spending time playing together and living in rural Northern Minnesota. Third Thursday events are designed to bring audiences to see and hear visual artists, musicians, writers and other artists in businesses in downtown Park Rapids on the Third Thursday of the month. The public is invited to attend and encouraged to make a free will donation to the artists. Contact Lu Ann Hurd-Lof at 652-4081 or luann47@gmail.com. This activity is funded in whole or in part by a Region 2 Arts Council Grant through an appropriation by the Minnesota State Legislature Arts and Cultural Heritage Fund passed by Minnesota voters on Nov. 4, 2008.